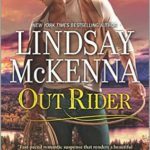 Review: Out Rider, by Lindsay McKenna by Melissa Bartell is licensed under a Creative Commons Attribution-NonCommercial-ShareAlike 4.0 International License. 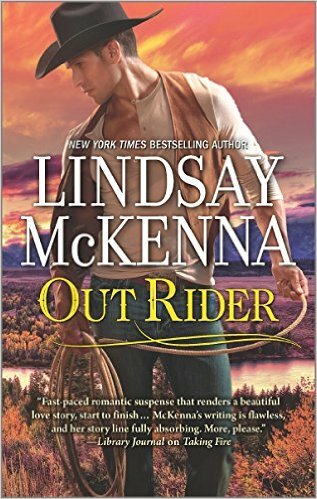 Since I will admit to being a Lindsay McKenna fan, your review is right on, BUT it’s also the little things she puts in her books that make her so special. For instance a comment about empaths referring to other books. Like my husband, her men are strong and sensitive. Her characters are human with plus and minus in their characters. 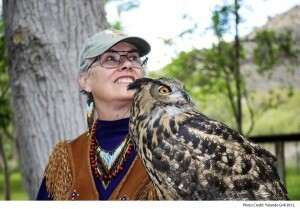 Hope she keeps up writing and I hope to keep on reading. I generally don’t love romance novels because I can’t identify with the characters, but these characters are “well seasoned” (great description!) and that really appeals to me. And I’ve heard great things about this author’s books for quite a while now, so I’ll have to give them a try!